SINGAPORE (AP) - A court in Singapore on Tuesday charged a teenager over a video he posted online that was critical of the nation's late founder and Christianity. 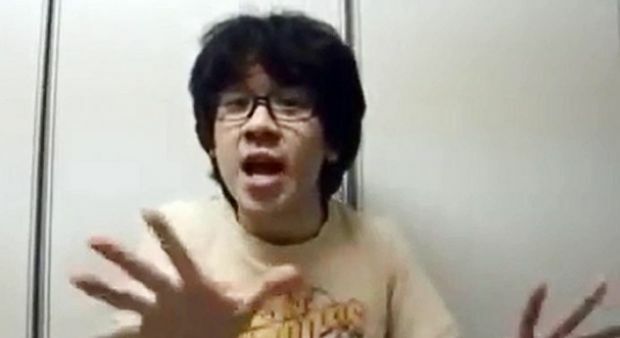 In the eight-minute clip that was posted on YouTube, 16-year-old Amos Yee Pang Sang said that Lee Kuan Yew, Singapore's first prime minister, and Jesus Christ were both "malicious," among other disparaging comments. The video has been taken off Yee's YouTube channel, but copies continue to circulate on social media. Yee was arrested Sunday, the same day the country held an elaborate state funeral for Lee, who died March 23 at age 91. He was charged Tuesday with three offenses - two for insulting Christianity and the late statesman, and another for allegedly transmitting online an "obscene representation." The teen, who had previously made local headlines with his controversial and opinionated videos, faces jail time of up to three years if found guilty. He was freed on bail, but has been ordered to stop posting any content online pending the outcome of his case.